The ancient Greeks excluded women from the Olympics. When the modern games were reinstated in 1896, the ban was continued. But in the next Olympiad in 1900, women were included. It was not until 1932 that the first African-American women were selected to participate in the Olympics in Los Angeles, California. Since that eventful year, more and more black women have participated in the Olympics. Now they compete in all areas of track and field, tennis, basketball, rowing, volleyball, and figure skating. Hardcover. There’s mayhem at the zoo this year. Passover is coming, but all of the zoo animals’ Haggadahs are too worn to read. Thankfully, Shai Elephant remembers the Exodus story word-for-word and assigns lines to each animal. Every creature is eager to baah, laugh, whinney, or bray its part. Everyone has a role—from the lion’s great big “Ma-Roar!” to the vultures’ help finishing off the meal. In this fantasy adventure story for young readers, a young boy must save his world from destruction and learn to conquer his own doubts and fears. In Austin, Texas, bats seem to be everywhere! Just when the citizens begin to fear that their flying-critter situation is spiraling out of control, a mysterious man appears and offers to help them with their problem. At first, everyone is skeptical, especially when it seems that playing an elegant silver pipe is his solution. But as the melodious tunes fill the Austin air, bats suddenly surround the Piper, following him as he leads them to the Congress Avenue Bridge, where they hang out of sight. This delightful, practical book guides the traveler through the attractions of the cities of Cracow, Gdansk, and Warsaw, with excursions to the mountains around Zakopane, the salt mines of Wieliczka, the concentration-camp complex of Auschwitz-Birkenau, the Teutonic Order’s castle at Malbork, and the Baltic towns of Sopot and Gdynia. Dr. Staples gives guidance on how to succeed in every aspect of life through ten progressive steps starting with a “positive self-image” and culminating in an “intense, sincere desire to succeed in cooperation with others.” He demonstrates how these steps will help the reader to have more fulfilling personal relationships, to achieve the most distant career goal, and to be a better parent. Through his examination of the contribution to the concept of the sovereignty of the people made by John Locke, Warren L. McFerran illustrates the profound impact that the Age of Reason had on the American mind. The author goes on to examine the original American theory of government, which vests political supremacy in the people of each state, and how the rise of the consolidating school throughout the eighteenth and nineteenth centuries determined to undermine the federal Constitution and transfer sovereignty from the people of the states to the federal government. Fred Osborne was only sixteen when he left his home in Salem, Massachusetts to fight in the Civil War. In this remarkable collection of letters, he describes the privations and hardships of camp life, as well as its excitement and camaraderie. As a member of the Massachusetts 23rd Volunteers, young Osborne saw action at New Bern, Charleston, and Petersburg. His first-hand accounts of the Burnside Expedition, Roanoke Island, and the Second Front against Richmond are particularly enlightening. Paperback. 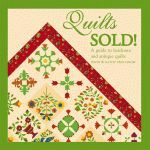 This complete guide to buying, selling, creating, and preserving antique quilts features descriptions and actual selling prices for historic quilts sold at auction. There are also invaluable hints for starting a collection, caring for old quilts, and making new ones based on vintage patterns. Nowhere else is it possible to find a more complete or heartwarming guide to the yarn-headed, crescent, mouthed dolls loved by generations of Americans than in Raggedy Ann and More, the definitive book which marks the 80th anniversary of the start of it all. Patricia Hall, the foremost expert on Raggedy Ann and the other numerous characters that inhabited Johnny Gruelle’s imagination, has assembled in this book an unrivaled and accessible catalogue of the Gruelle merchandising phenomenon. Hardcover. Red, White, and Blue celebrates the American flag by describing what it means to one small child. 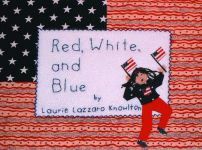 Using innovative textile artwork, Laurie Lazzaro Knowlton illustrates the poetic text as she explains what the flag’s three colors represent, “sacrifice, loyalty, pride.” As the young heroine pedals her bike under a rippling flag, she declares, “Our people may be of every color, but we are united by the Red, White, and Blue.” This visual treat will introduce the meaning of our flag to even the youngest patriot. Paperback. One of the most shocking and humiliating defeats in the United States’ military history, the Red River Campaign narrowly missed turning the tide of the entire Civil War. The daring military operation took place in north Louisiana, in April of 1864. Though the Union soldiers outnumbered the Confederates nearly four to one, the Union forces found themselves under assault and running for their lives. Written in an engaging tone, this illustrated volume chronicles the campaign in precise detail. While his canvases portray a range of geographic sites from the rural South, the streets of New York, the New England woods, and the villages and meadows of southern France, Rolland Golden brings a certain sensitivity to his landscapes that only a Southern artist with long ties to the land can bring. This collection chronicling his personal and artistic journeys includes almost two hundred works created over four decades and two continents. In this innovative and enchanting fable, Joe Kulka pokes gentle fun at the trio of charming characters who find themselves caught up in the fantasy of getting something for nothing when really, they already have everything they need. Complemented by Kulka’s signature lively illustrations, the lighthearted story rendered playful language is certain to delight readers of all ages in its celebration of family, modesty, and gratitude. Sam Okamoto, one of Vancouver’s premier chefs and restaurateurs, has developed a unique approach to food—one that combines his vast knowledge of the health—giving aspects of food with traditional Japanese cooking techniques, Western-style cuisine, and a vegan vegetarian menu. In Sam Okamoto’s Incredible Vegetables, readers get an encyclopedia of nature’s gifts for the body and how they should best be prepared for their full curative and health value. The year 1780 is one of much confusion and excitement for eleven-year-old Sarah Boone. Living at Boone Hall in Charles Towne, South Carolina, she finds herself constantly observing the changing world in which she lives. Struggling to please her parents, Sarah is often caught between her desires to act like a rebellious tomboy and a proper young lady. Just when she begins to adjust to the changes around her, plantation life is made more interesting with the arrival of a baby sister and new slave family.